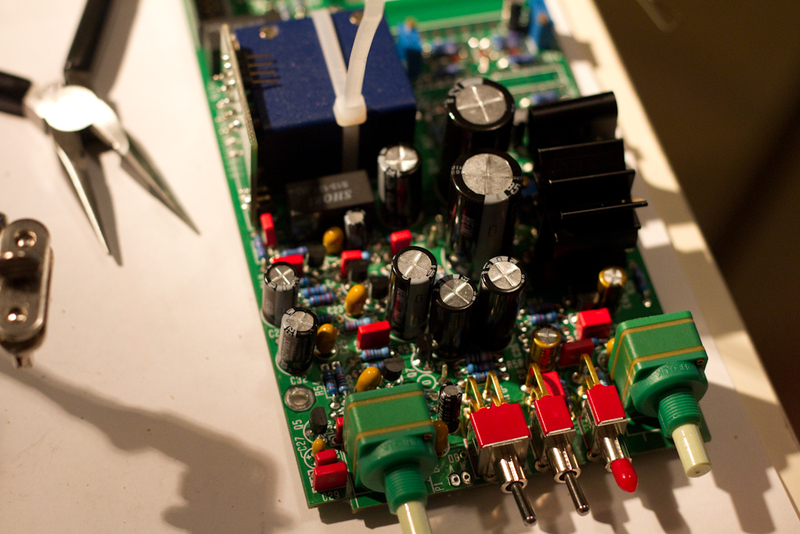 For those who haven’t been following so far, I’ve been building some equipment for a high-quality DIY home studio for an album I’m working on for Lee Safar. 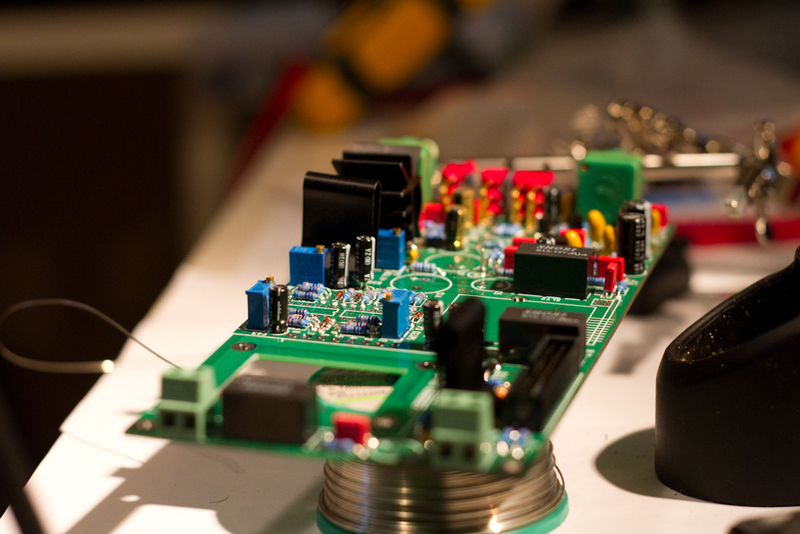 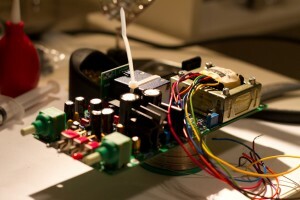 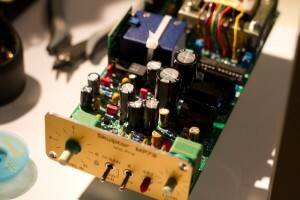 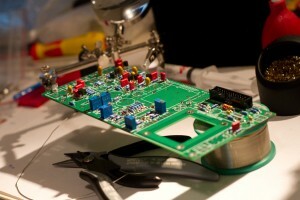 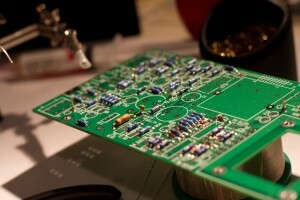 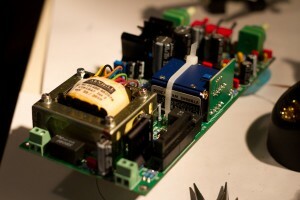 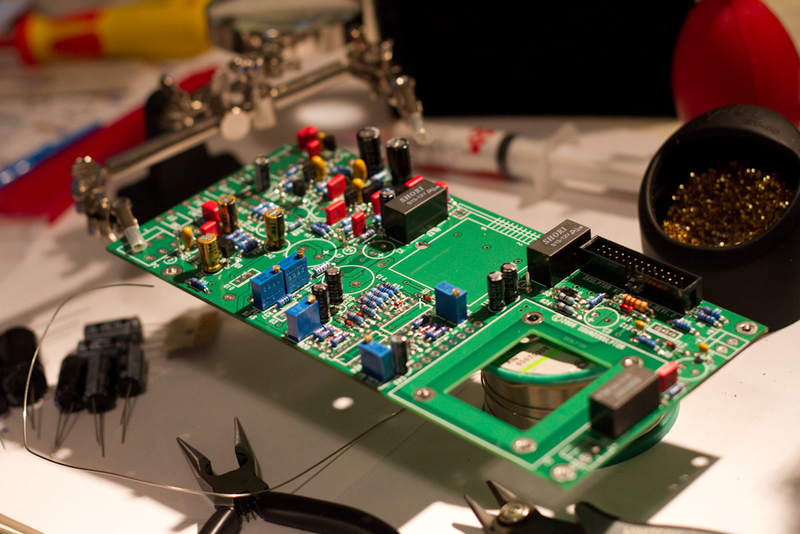 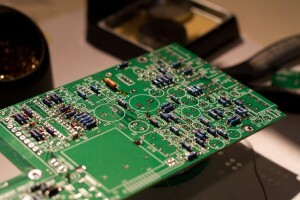 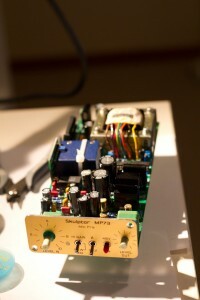 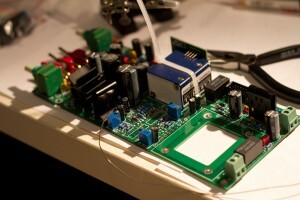 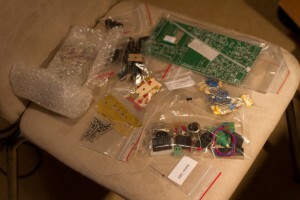 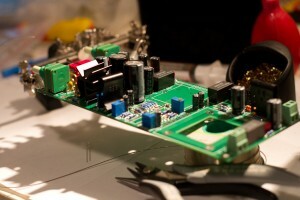 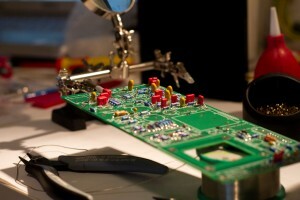 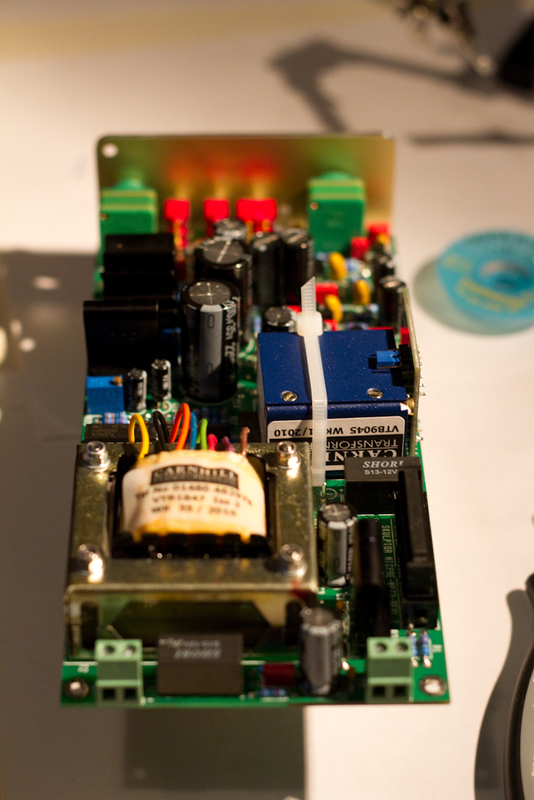 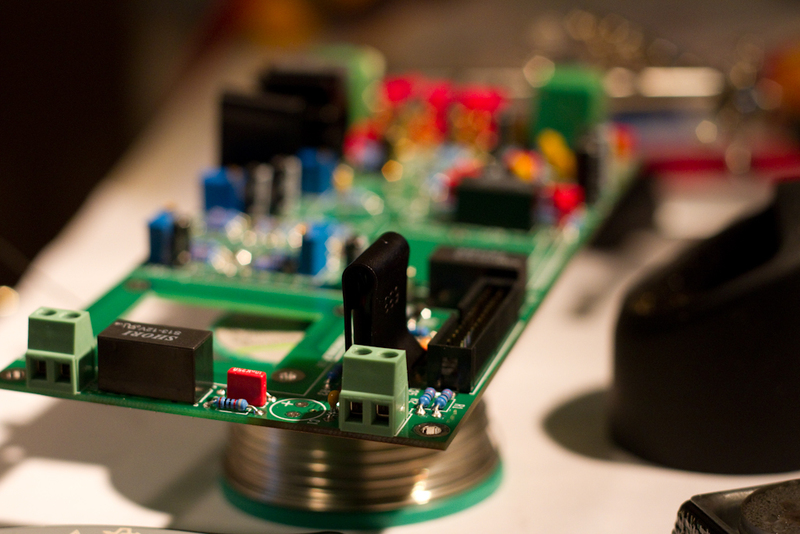 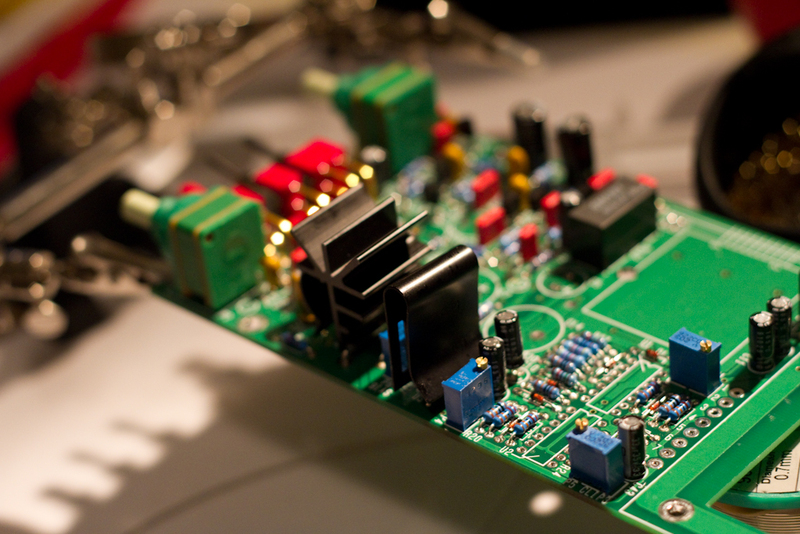 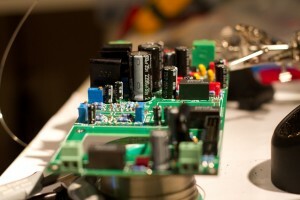 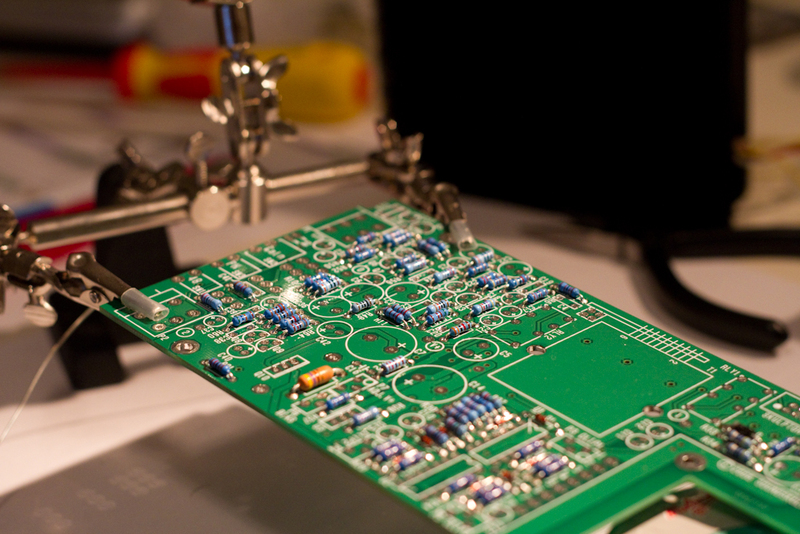 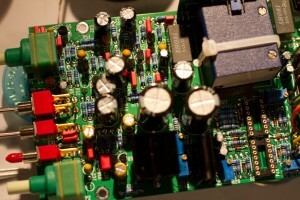 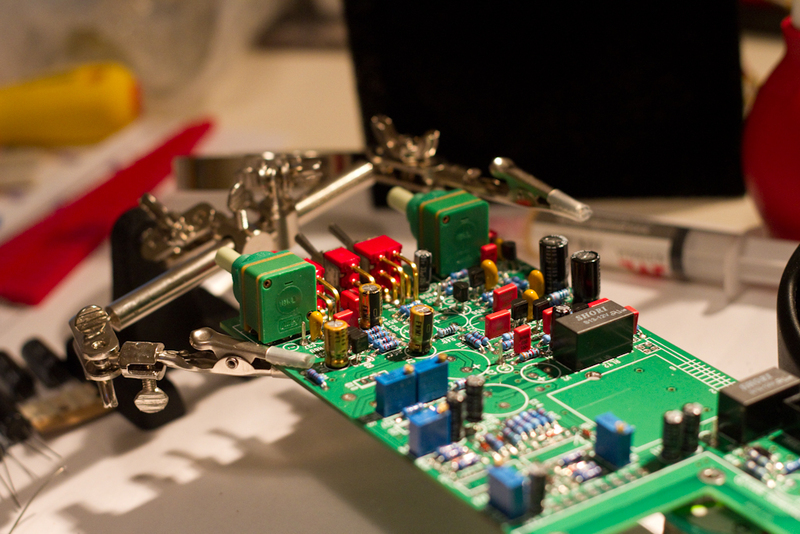 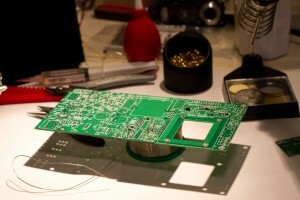 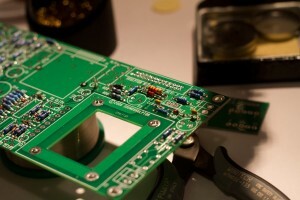 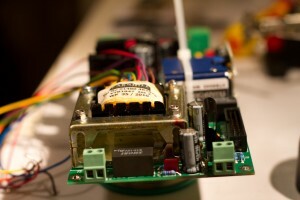 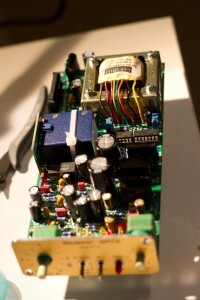 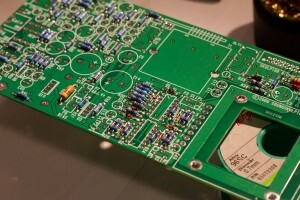 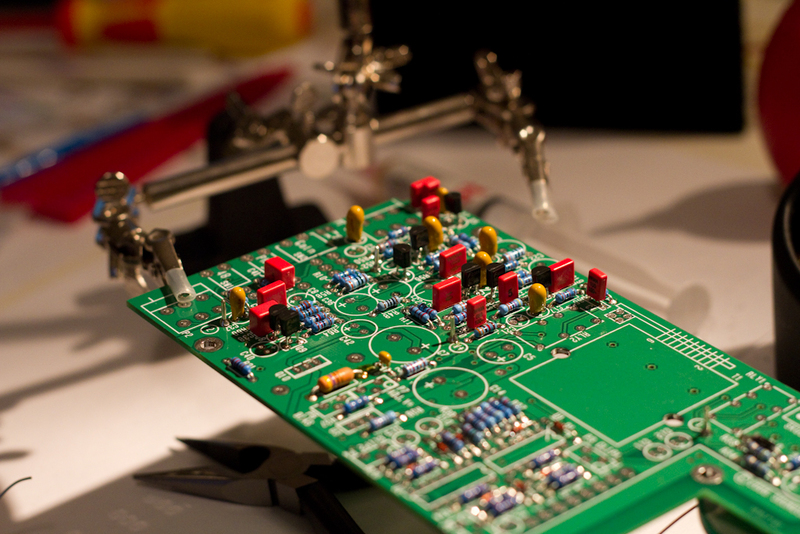 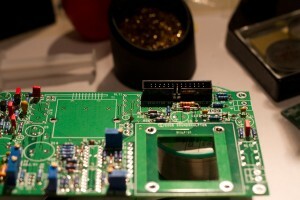 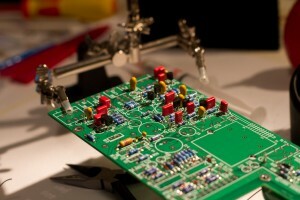 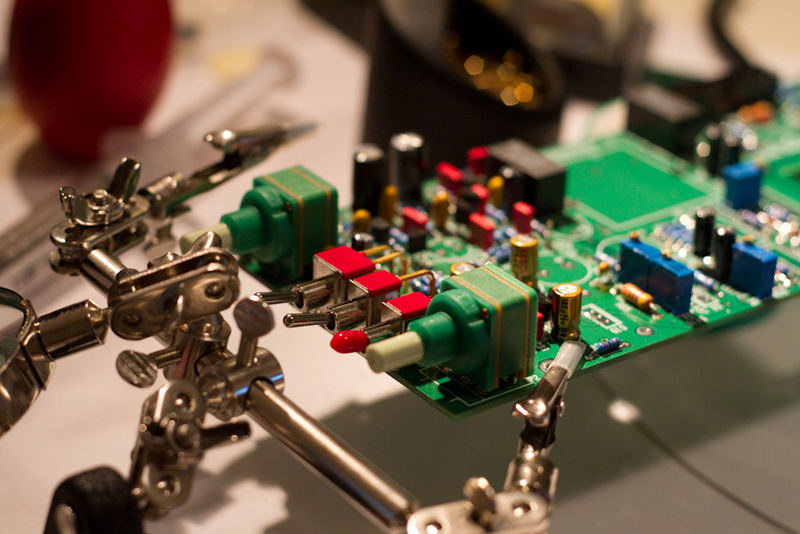 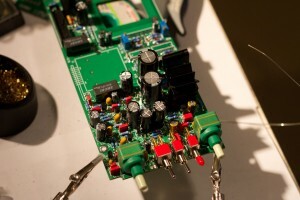 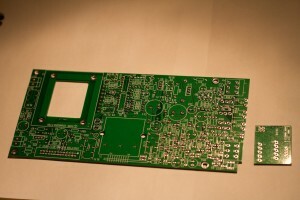 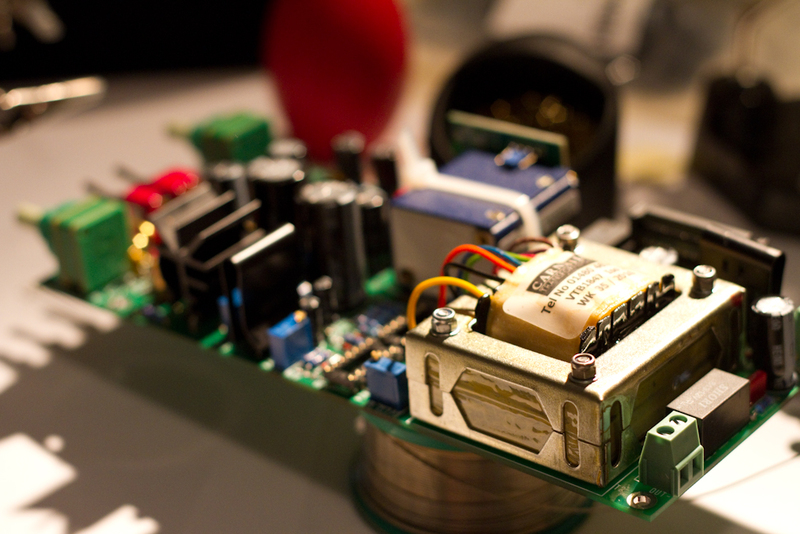 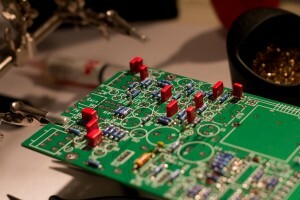 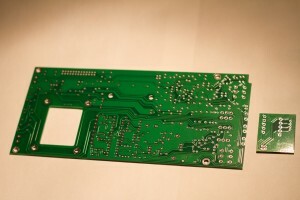 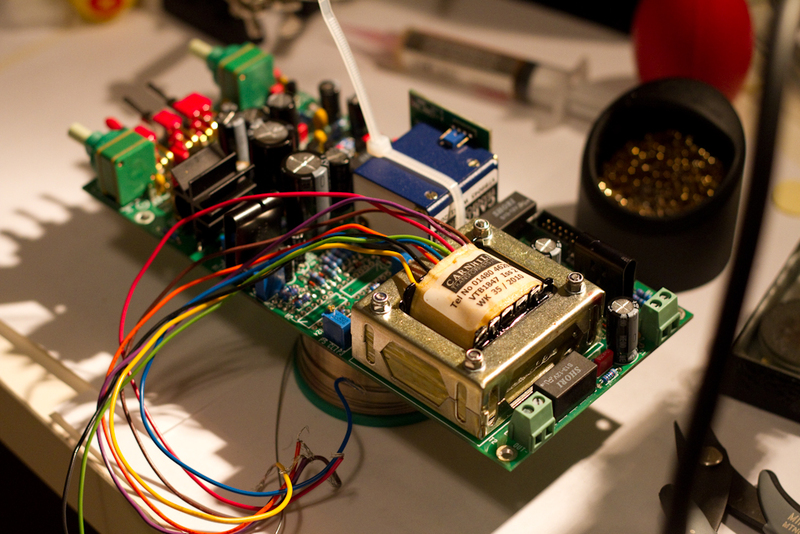 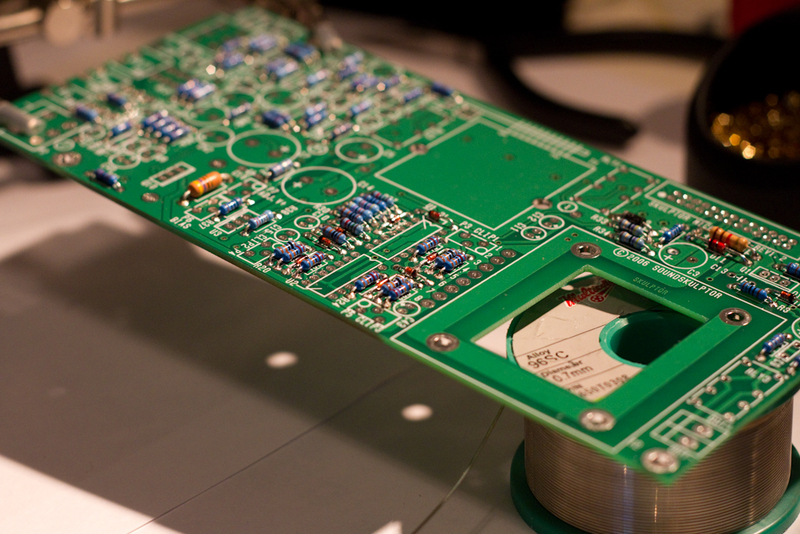 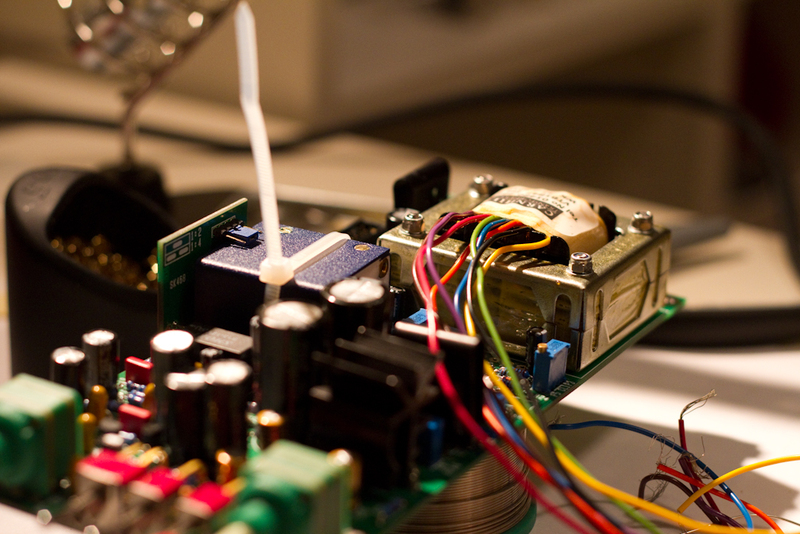 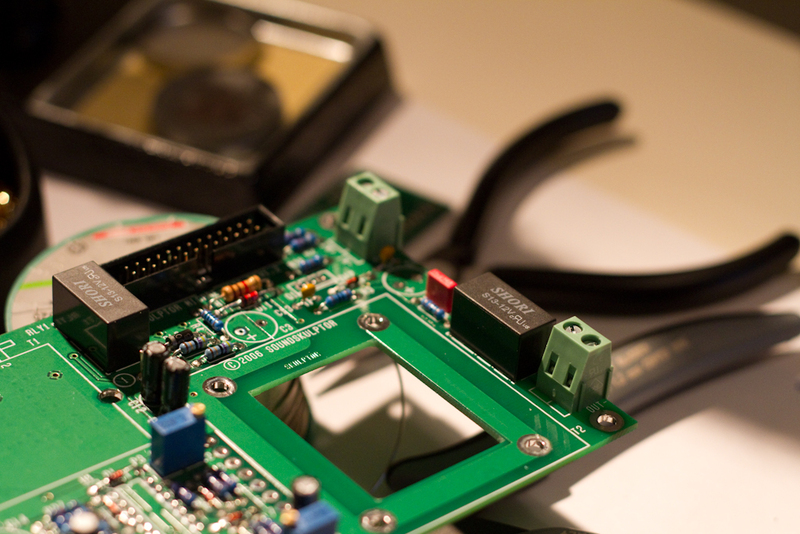 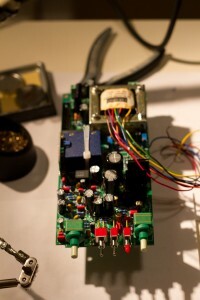 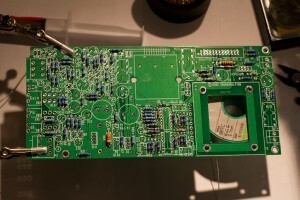 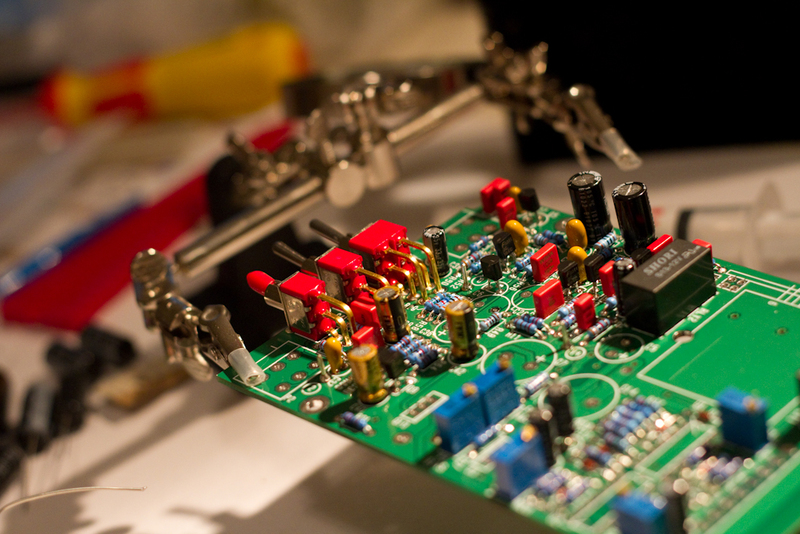 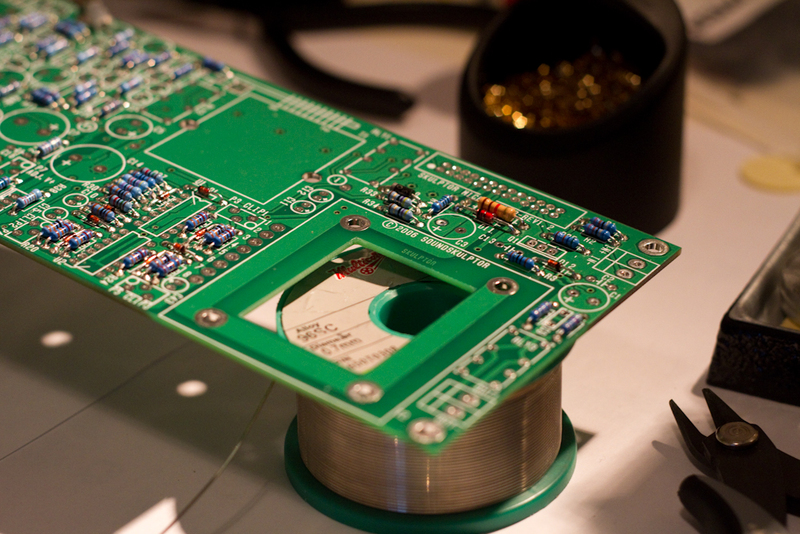 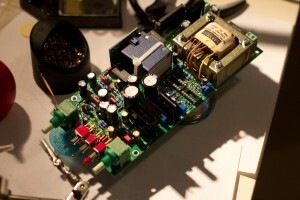 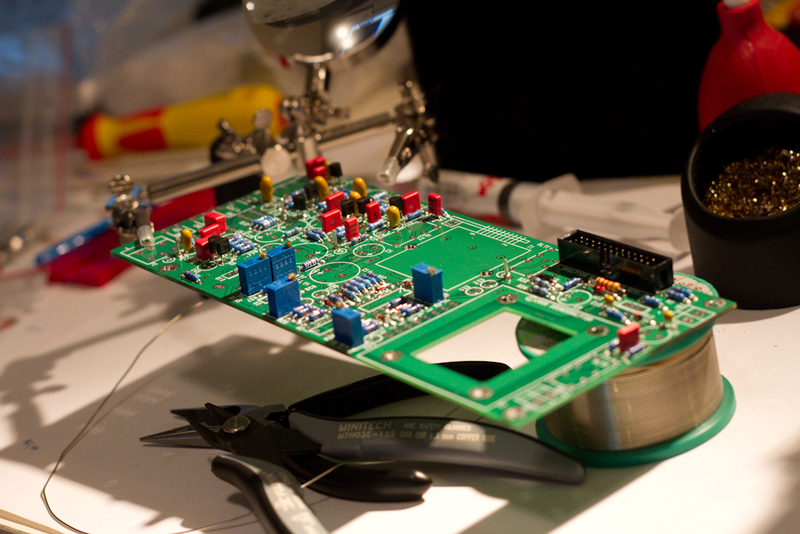 This post is about the second of two microphone preamplifier builds. 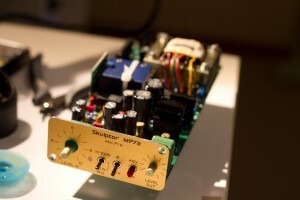 The first one ( in an earlier post ) was about the ClassicAPI VP26 ( which has a classic old 70s thick API tone), and this one, is about the Sound Skulptor MP73 ( a Neve 1290-style preamp with a warm gooey character ). Now all that is remaining is building a power supply, casing this MP73 preamp with the VP26 one in a 1u rack case, and then, some testing. But so far it’s looking good – not long to go now! 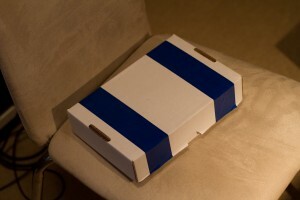 All in all, how long did this take you? The Sound Skulptor MP73 took me around 1 and a 1/2 days to build. The power supply for it took about 4 hours to make ( I used this one: http://www.jlmaudio.com/shop/index.php?_a=viewProd&productId=12 – however for a single MP73 it’s quite over-specified, but I chose it as it’s got enough power to also supply the ClassicAPI VP26 ). Casing up both the MP73 and VP26 I am estimating will take around 1-2 days. 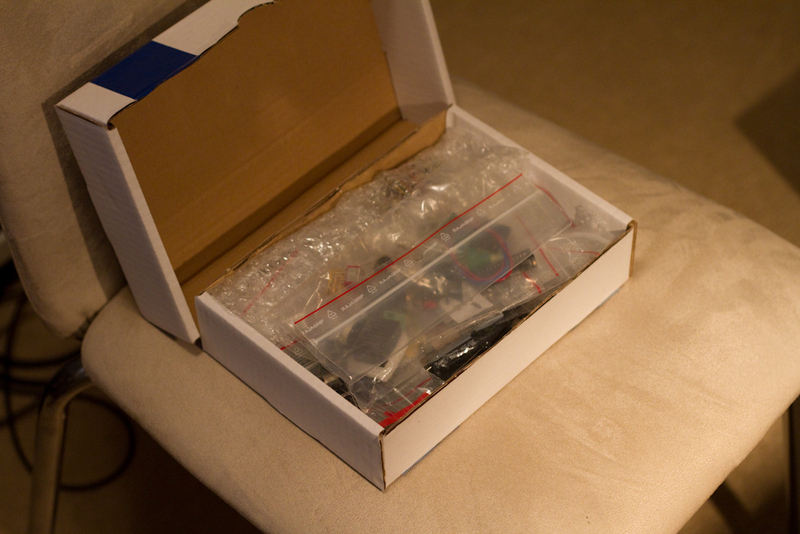 So total build time is around 3-4 days. 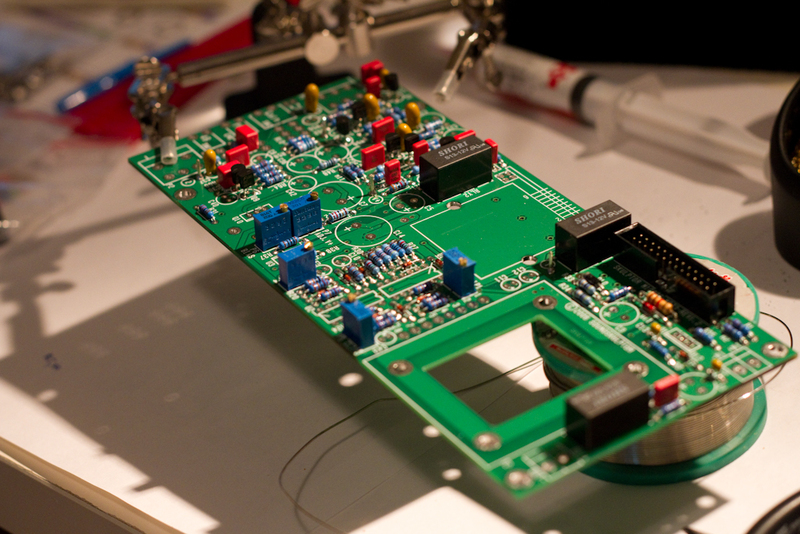 If you are interested, the VP26 took a single day to make ( it’s a far far simpler build than the MP73 ) and the SB4000 SSL-style compressor was around a 6 day build. 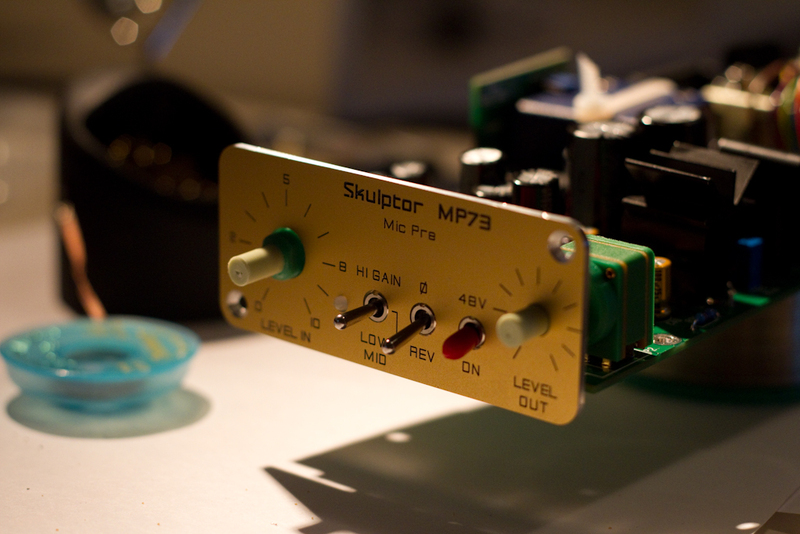 Unfortunately the MP73 pre is currently not working and I’m tracking down what I did wrong. 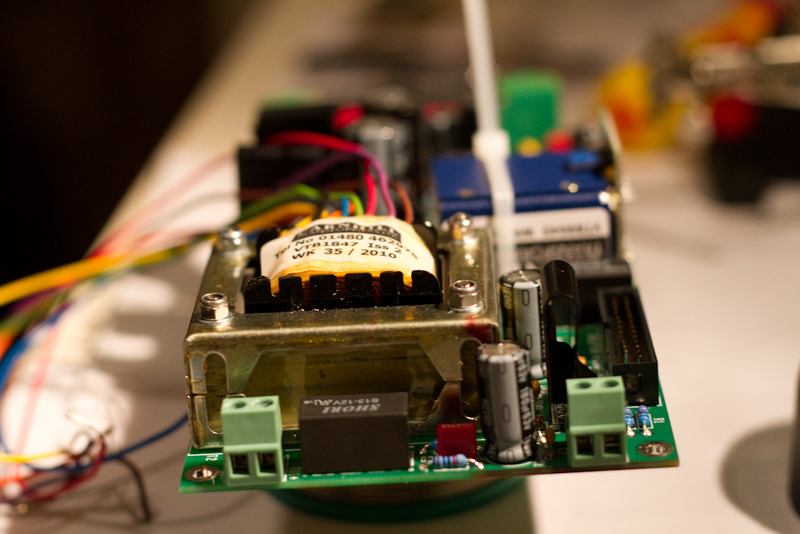 I finally managed to power it up over the weekend and despite my careful attention to detail, something is wrong. 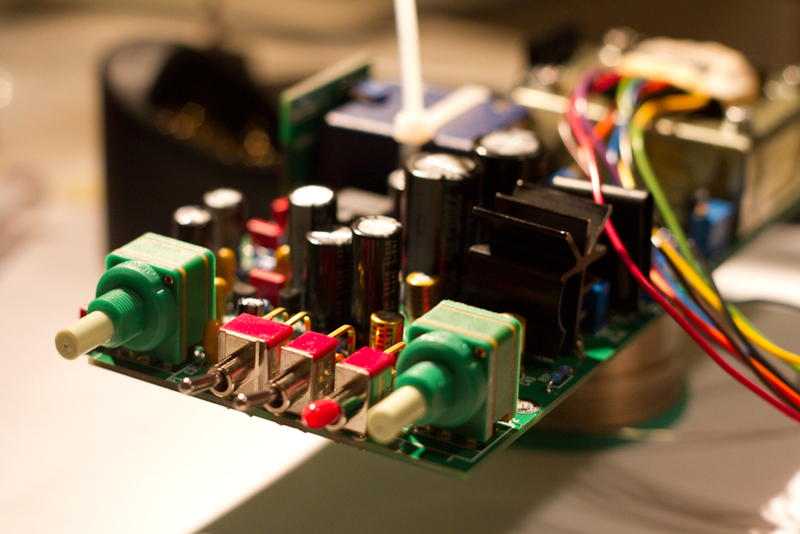 Of the 3 stage amplifier it uses internally, I’ve verified that the first 2 work OK, it just seems that the final stage amp, and the biasing trimmer that sets one of the final calibrations, on my unit, is not working properly. Will post my findings when I fix it soon. Thanks to the helpful Jean-Pierre Kuhn of Sound Skulptor – I managed to fix the wiring issue that was making the MP73 wildly low-frequency oscillate when I ran through the calibration steps for it. 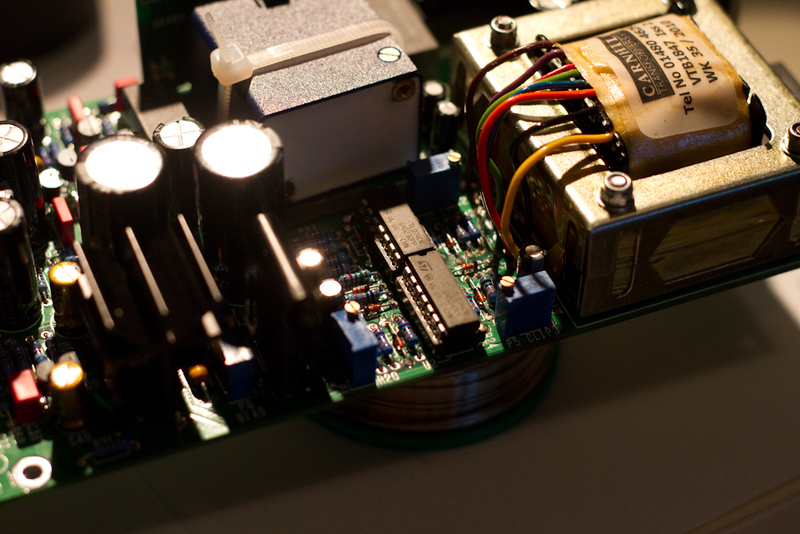 After a quick adjustment to my grounding scheme, the thing is now working perfectly! 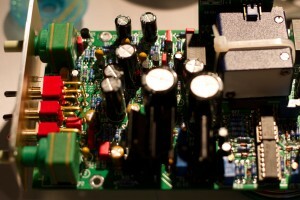 Amazing stuff actually. I’m very excited about using it now. 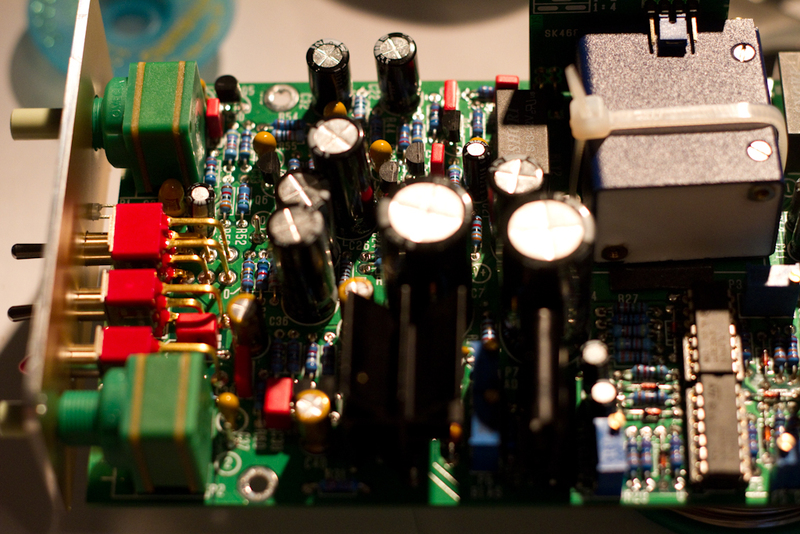 Sound samples up within the week I promise people!